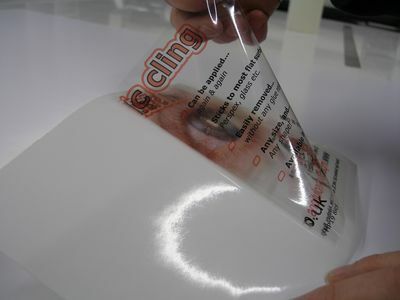 Much like the old Tax Disc holder, Self Cling adheres to clean, flat glass without the need for glue. 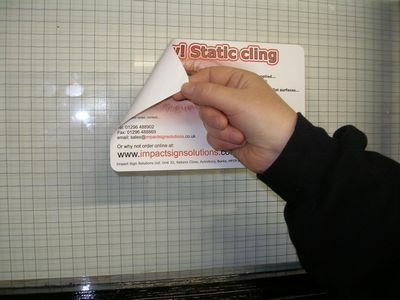 Also referred to as Static Vinyl, it is simple to apply, remove and reapply. 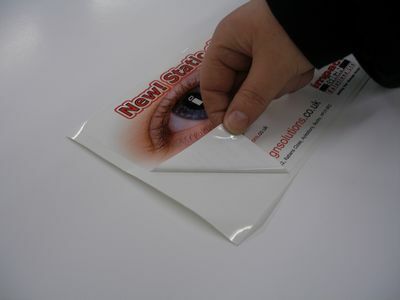 Self Cling is offered as a white or clear base, which can be cut into any size and shape. 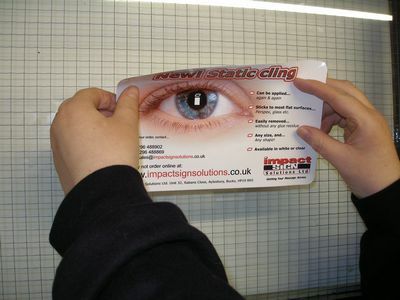 It is printed in full colour with your text and images, using standard (on white) or translucent (on clear) inks. 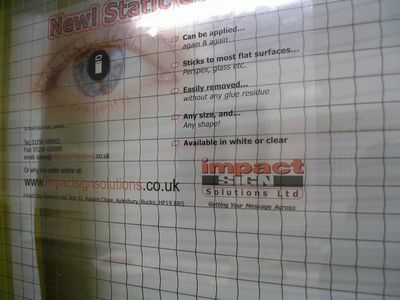 As a temporary sign solution, Self Cling is an easy to apply option, which sticks without creating air bubbles or creases. 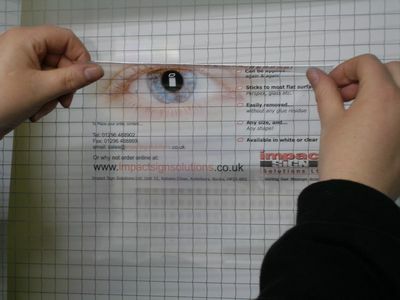 It can be used for parking permits, information signs and is often used to promote businesses at exhibitions and trade events, which need to be packed away and re assembled time and again. 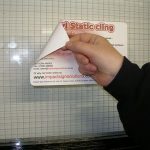 As with Easy Apply, it is simple for anyone to peel off a Self Cling sign, so it may not be ideal for use in places where this could be an issue. 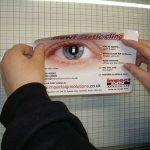 For advice on whether Self Cling, Easy Apply or other window graphics are more suited to your requirements, just ask! Congratulations, you have just bought ‘the best’. 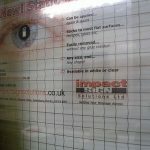 Impact Signs use ‘new generation’ vinyls. The manufacturers stated exterior life under normal conditions is a massive 7 – 10 years (except florescent & some specialty finishes). Use a sponge, not a cloth. Use heat! Vinyl can be removed easier when it is warm. A hair dryer is the best tool for the job. Caution! Do not use hot air guns, these may burn the surface. To remove the glue residue use white spirit. Let it soak in for approx 2 minutes first, glue should then be easy to use. 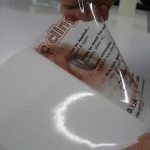 When the entire vinyl and glue residue is removed, it would be wise to use ‘T’ cut to hide the ‘ghosting’ that may be evident. 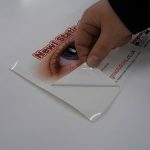 Thanks for the previous 2 print jobs, they were fantastic! Hi Andy, Just wanted to say what a fantastic job I think you made of the window displays. Really pleased with the way they look. Thanks for all your help.